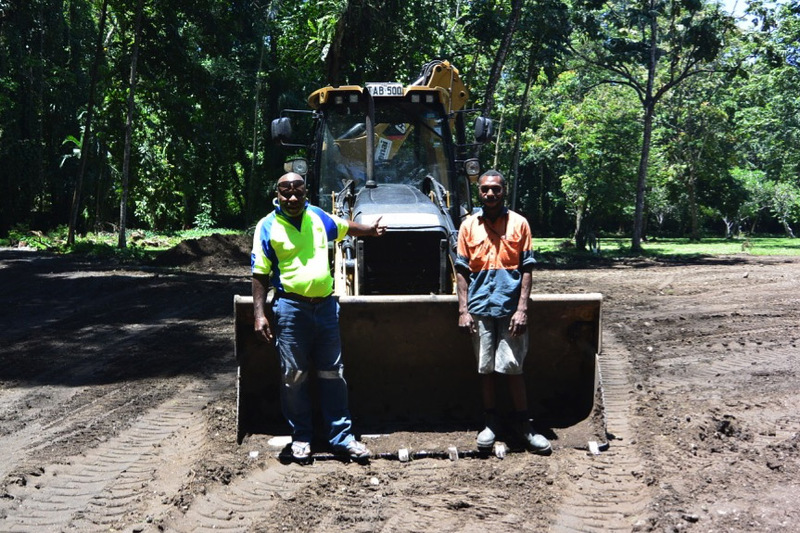 Dekenai Constructions Ltd transforms the roads within the Lae Botanic Gardens. Lae, Morobe Province, PNG, 24th September, 2015 â€“ The Lae Botanic Gardens are abuzz with activity the likes of which the gardens havenâ€™t seen in years. Dekenai Constructions Ltd. have come on board as a major sponsor of the Advancement Program and have wasted no time in supplying machinery, workers and engineering expertise to regrade all the roads within the gardens, create new car park areas and lend a helping hand with rubbish and wood removal, drainage, clearing waterways and much more. The work has been undertaken over the last two weeks and is currently continuing intermittently in many areas within the gardens. 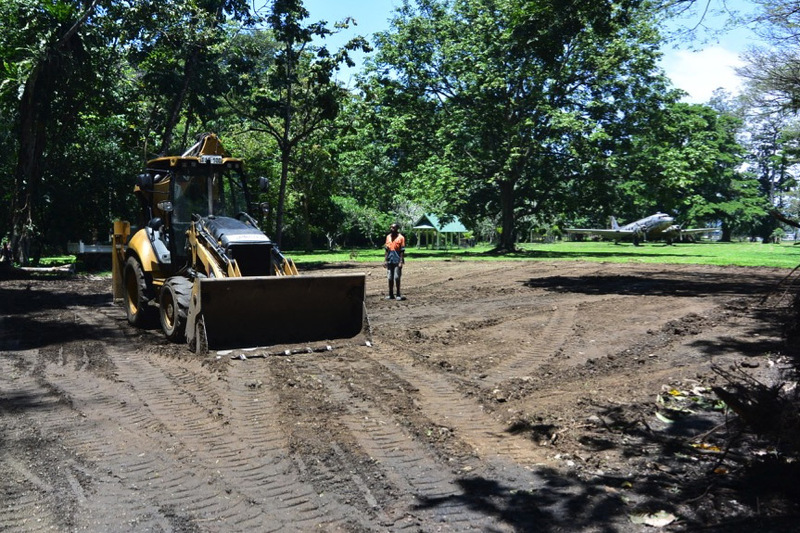 Dekenai have provided labour with 10 employees, and several machines including a grader, tipper trucks, backhoe and roller to improve the road network and create more space for vehicles to park and drive once the gardens reopen. Prior to Dekenaiâ€™s input, some roads were unusable due to degradation and potholes, and areas for parking were overgrown. Now, with their support and expertise, the gardens have space for approximately 50+ cars, the roads have been levelled, widened and in some cases cleared so as to be usable again. Having heavy machinery in the gardens has also meant Dekenai have been able to assist in clearing garden rubbish, widen and clean up the overgrown waterways and transport gravel and dirt to areas in need. Dekenai Constructions Ltd. is a civil engineering contractor with vast experience in carrying out civil works in Papua New Guinea. Since its incorporation in 1995, Dekenai Constructions Limited has built and maintained its reputation as a major Civil Engineering Contractor, specialising in the construction of roads, bridges, drainage structures, pavement and sealing works. For more information see http://www.dekenai.com.pg/. Above: The new car park underway in the northern end of the gardens. Above: Robin (left) and Donald (right) from Dekenai Constructions Ltd. take a break from preparing the new car park area near the DC-3 Plane. 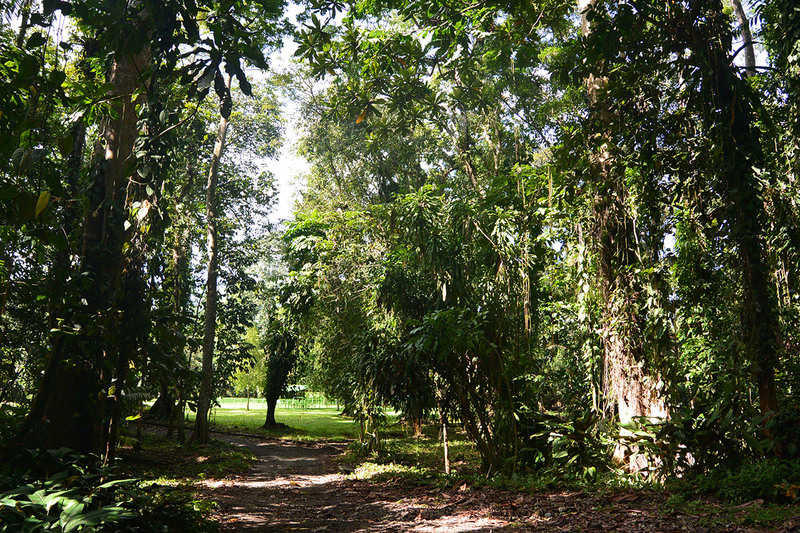 Swire Shipping commits to the future of the Lae Botanic Gardens with a PGK70,000 donation. 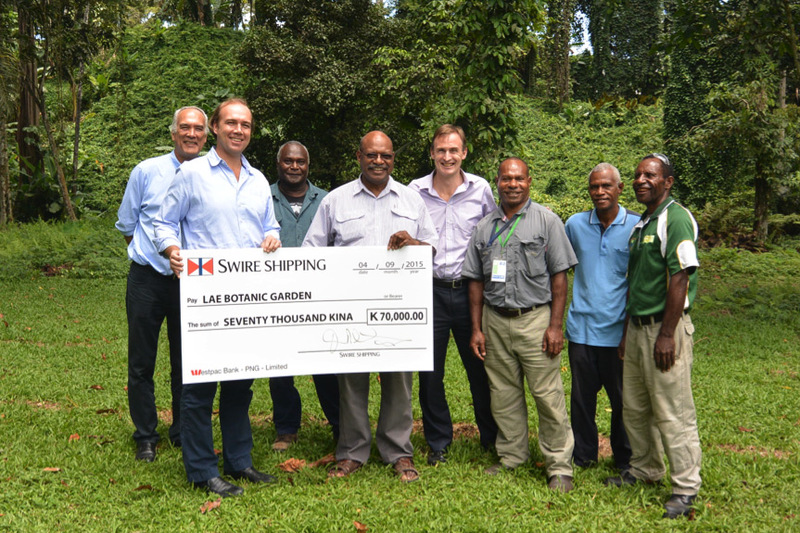 Lae, Morobe Province, PNG, 4th September, 2015 â€“ In another exciting development, Swire Shipping has generously contributed PGK70,000 towards the Lae National Botanic Gardens Advancement Program. It is the largest monetary donation the program has received to date and will go a long way in restoring the gardens to their former glory. Swire Shipping has always been supportive of the Advancement Program and this donation of PGK70,000 solidifies their commitment to a better future for the gardens. It also reflects Swire Shippingâ€™s broader commitment to assist in sustainable development to build better communities in their regions of operation. These funds will be used for the development of four world-class garden designs that will be placed within the gardens to showcase PNGâ€™s natural beauty, culture and diverse plant life, and to draw visitors back to the gardens once it reopens later this year. Renowned design company, Garden City Design Co. have been engaged for the task and planning has already commenced. Swire Shipping is the liner shipping division of The China Navigation Company (CNCo), the deep-sea shipping arm of the multinational Swire Group. CNCo has provided regional shipping services between Australia and the Asia-Pacific region since 1883. Swire Shipping operates multiple liner trades in Australia, New Zealand, Asia, North America and the island nations of the South Pacific, in addition to providing services to India, the Middle-East and Europe. Swire Shipping operates a versatile fleet of multipurpose ships capable of carrying a wide range of cargoes including containerised, refrigerated, project, breakbulk and heavylift cargoes. For more information on CNCo and Swire Shipping, please visit www.swirecnco.com. We all see her as we drive around Lae going about our business; she is worthy of a glance and perhaps a sad sigh at her current state. Sitting in the Southwest corner of the Botanical Gardens, the DC3 plane is looking a little worse for wear these days. 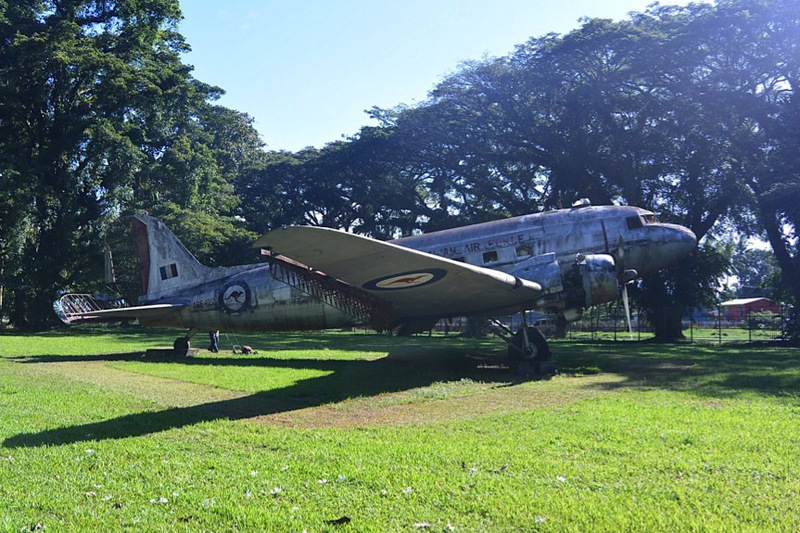 The RAAF DC3 is an important member of the Lae community and representative of the part played by PNG in WWII, it is high time she was given the attention she deserves. Thanks to the efforts of many people and businesses, the National Botanic Gardens Lae Advancement Program is at full throttle, and we are pleased to announce the establishment of a DC3 steering committee that is joined by members of the Lae community, businesses and plane enthusiasts to give our DC-3 the proper treatment, with the first meeting taking place on the 20th August, 2015. A love of planes is not the only thing that has bought this committee together; it is also a passion for the growth of Lae through business networks, infrastructure development and tourism. It also provides an excellent opportunity to capture the history of the plane and the operations and events of WWII in this region, not to mention an added attraction for people to see when the gardens re-open later this year. The inaugural meeting led to many great outcomes including the formation of four working groups within the committee to look after the key areas of Technical Advice to ensure accuracy in the restoration of the plane; Plane Covering to coordinate the building of a shelter to protect the plane from the elements; Plane History to collate and document information on the plane, itâ€™s history and use during WWII and Documentation of plans, archival footage and the process of restoration. The committee is made up of several interested individuals and businesses including the Friends of the Lae Botanic Gardens, PNGFRI, Swire Shipping, Trans Marine, Northbuild PNG, AHI Hope Foundation, Riback, Unitech and Coca Cola Amatil (CCA). Other companies that may be involved in this restoration include; Dulux Paint, Digicel, Defence, Lae Builders & Contractors (LBC). This treasured RAAF DC-3 is in good hands with a bright future ahead of her, and if you or your business is interested in contributing to the restoration, or the wider Lae Botanic Garden Advancement Program, please contact the Curator, Michael Lovave at the PNG Forestry Research Institute on 472 1041 or 472 4188 or email mlovave@fri.pngfa.gov.pg. The DC-3 in her current state, 2015. 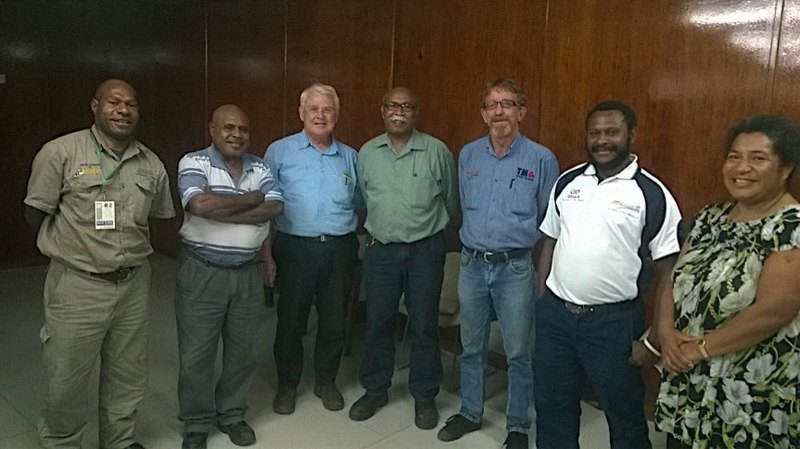 (L-R) Michael Lovave (PNGFRI), Vincent Koddy (Unitech), Paul Boddington (Northbuild PNG), Brian Nâ€™Drelan (Unitech), Damien Mclean (Trans Marine), Gilinde Kitoria (Ahi Hope Foundation), Lucy Maino (Unitech).